A cheesecake at high altitude; just baked this today. Fingers crossed! 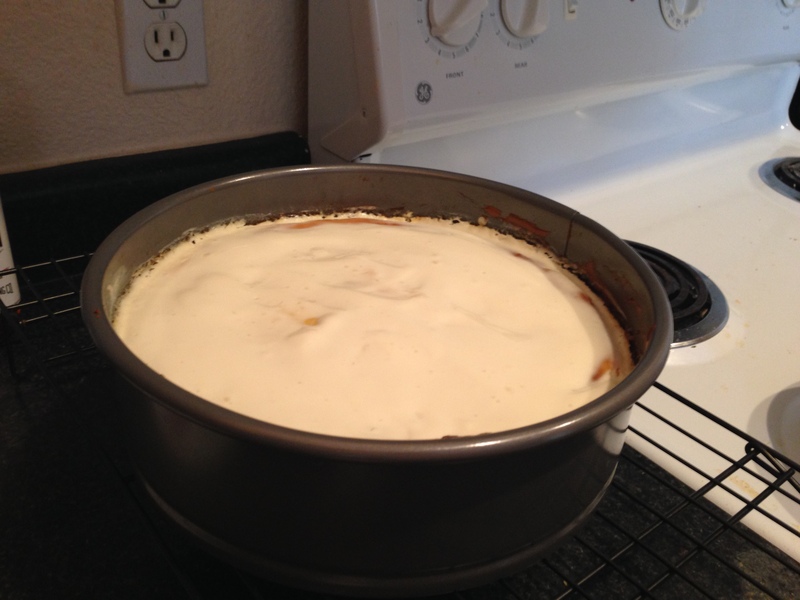 Today was the first time in over ten years that I baked a cheesecake. I remember when I first learned this recipe, my oldest sister helped me with the whole process: mixing the cream cheese and sugar together, beating the eggs, combining ingredients for the sour cream topping, etc. I was a teenager and I wanted to learn how to bake, so this was what my sister taught me for my first baking lesson. But today, I decided to tackle the recipe again and actually added in the lemon zest (I never added lemon zest as a teenager). Here’s hoping the cheesecake tastes as heavenly as I remembered it! Previous Previous post: Happy Birthday to My Ryan! Next Next post: Running Again & It Feels Great!